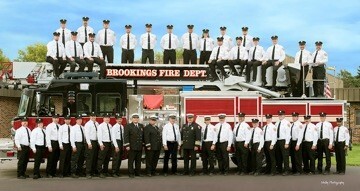 The Brookings Fire Department is comprised of 48 members - three career members and 45 dedicated and professional volunteers. We protect the City of Brookings, 186 square miles in Brookings County and 27 square miles in Moody County. Is open burning allowable within the City of Brookings? Does the Fire Department recharge or maintain portable fire extinguishers? What can I do if I think the property that I rent is unsafe?